If you don’t know who Betty LaMarr is yet, be prepared to be inspired. Once you learn about her story and her achievements, you will reject every stereotype you know about teen moms, low-income women, and single mothers. Seriously. 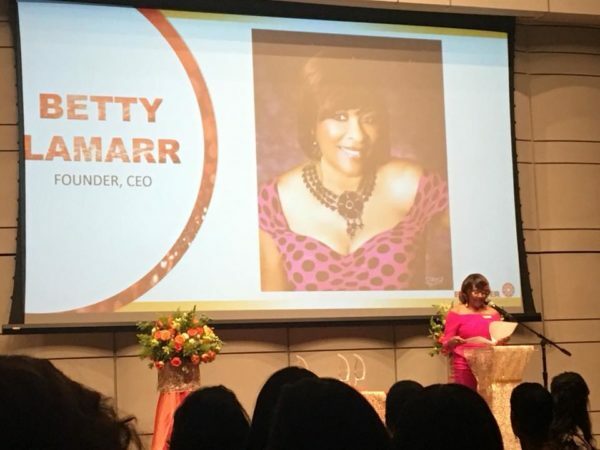 Betty is the CEO & founder of a non-profit based in Los Angeles called EmpowHer Institute whose mission is to empower marginalized girls and young women by helping them gain the skills necessary through education, training and mentorship to become confident, college and career ready. 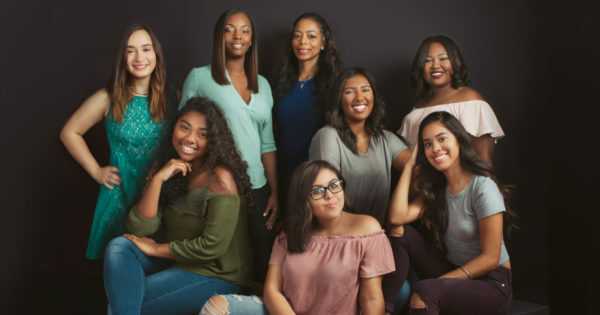 They work to reduce the school dropout rate among marginalized girls from 7th to 12th grade who are at risk of educational failure due to teen pregnancy, truancy, and juvenile delinquency. They hold workshops and work with female mentors who engage with the girls to know what is possible beyond what they can see in their current circumstances. Betty created this organization because she once was one of the girls she mentors today. She understands the value and power of mentorship on a cellular level and isn’t waiting around for anyone else to take up the mantle of empowering the next generation of girls to live up to their full potential. 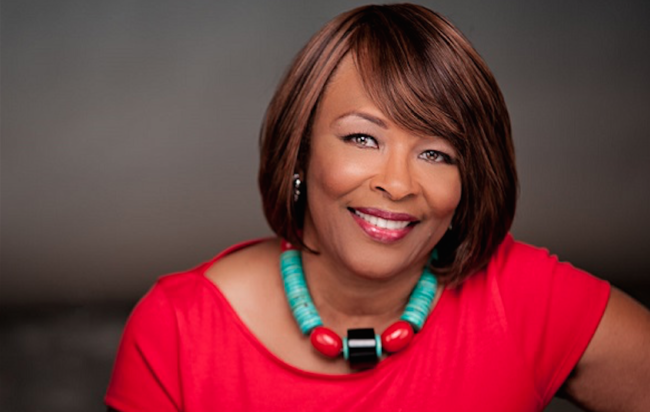 She managed to take her own experience as a teen mom and stay determined to finish college, ascend the ladder of success in corporate America making her mark as an African American woman, and then decided her highest calling was to give back. The impact she is making on her community in Los Angeles is undeniable, and we couldn’t wait to speak with her to learn more about her heart, her journey, and her power. 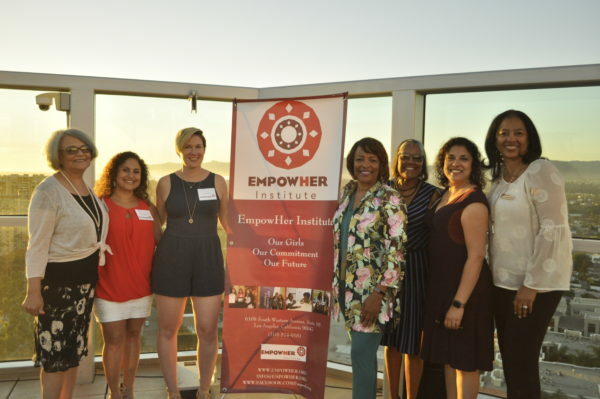 You are the founder and president of the EmpowHer Institute which mentors underserved young women in the Los Angeles area, and you have successfully climbed the ladder in corporate America working for major tech companies. But your beginnings were very different from where you are today. Can you tell us about your upbringing and where you grew up? Until the age of 13 I grew up in a little southern town in Arkansas called Pine Bluff. I grew up in the segregated South. At 13, I moved to Compton, California with my grandparents to get a better opportunity for education and ultimately a career. I had very mixed feelings about living in this big city with beautiful palm trees on this warm homely street with a yard full of beautiful flowers that my grandfather planted. In spite of it all I was away from my parents and my family which made me grow up sooner than I should have. Your high school graduation experience was different from many others because you were pregnant. What was that period like for you, and how difficult was it deciding what path you would take next? I was very disappointed in myself because I had dreams of joining a sorority and going to college. Instead of going to a planned sorority orientation, I went to my ‘shotgun wedding’ so that my child would not be born out of wedlock. We had those kinds of morals back then. I became a wife instead of a college student and soon to be mother. It wasn’t easy finding my way. I wasn’t prepared to be a wife or a mother. So instead of choosing a path, it chose me. It wasn’t until 2 years later that I left the marriage and then I began to make decisions that would create a better life for me and my son. There are stats that show a very high drop-out rate of teen mothers in high school, and less than 2% of teen moms end up getting a college degree by the age of 30. You are proof that it is possible to continue education, can you tell us some of the difficulties you faced along the way and how you pushed through? I can’t say that I knew about these statistics but I am happy that I beat the odds! I had my college degree by 25 and a job offer to join corporate America in the form of IBM Sales Representative. Yes, there were some twists and turns along the way. I had to find childcare for my son and I also worked at night and went to school during the day. My son and I laugh now about how when I studied he had to sit at the table and read a book. He came to love reading and did really well in school. As a single parent, I wanted to make sure he had what I could only imagine. I was able to send him to private school to avoid the gangs and drugs of our neighborhood. After a few years in my corporate job, I was able to move us to the suburbs so he could ride his bicycle on the sidewalk without getting hijacked by the bullies. I was able to push through because I was determined to not let my circumstances define my destiny and my son was my motivation. At the height of your corporate career, you decided to shift gears and moved to South Africa for a few years. Why did you decide to do that, and what did you do there? While in my corporate job, I achieved a great deal of success and blazed a lot of trails as the first African American woman in a number of positions. With this success, I assumed a lot of responsibility for opening doors for other women and minorities. I also began to participate in charitable causes representing my company and community. This experience opened my eyes to social issues locally and internationally. It was this backdrop along with the joy of seeing my son graduate from an Ivy League university that inspired me to giveback in a bigger way and on a bigger stage. I was aware of the oppression of indigenous people in South Africa and the opportunity to be a part of rebuilding the country after the first ‘free elections’. I went to share my business knowledge, create jobs, train people and equally important, become a role model and inspiration. While doing that, I was inspired by the spirit of the people and how resilient, resourceful and forgiving they were. I began to see that it is the simple things that bring happiness, not the big things. I saw how the women created economic viability for their families through their entrepreneurial skills. I saw how they had learned not to expect a job but to create one for themselves. At the end of 4 years in South Africa, I got more than I gave. I still use those lessons today! How did the experience in South Africa spark the idea for the EmpowHer Institute? My experience in South Africa helped me to see how families support each other and how women and girls take the lead in their families for earning money, cooking and raising the children. This inspired some thoughts about how we can take these lessons of independence and resilience to the teens in major cities in the USA to keep them from dropping out of school. This was the genesis of EmpowHer 5 years after I returned from my stay. I could see how pride in what you do raises your self-esteem. It becomes a self-fulfilling prophecy. If you think you can, you will! We often think about philanthropic work being done overseas, but there is a big need right in our own backyard. What was the particular need you saw in your home city, especially for young women? The need is great overseas. We have so much excess here and it sometimes looks like we can make a bigger impact if the problem is dire. I don’t think we need to make one situation better or worse from a philanthropic perspective but recognize there are lots of opportunities to HELP. I saw that Black and Latina girls were dropping out of high school at an alarming rate of 50% or 1 out of 2. When I looked at how that contributes to the poverty cycle and a generation of joblessness and homelessness, I knew that I had to do something about. My story is too close to their stories for me not to share what they can hope for and achieve. 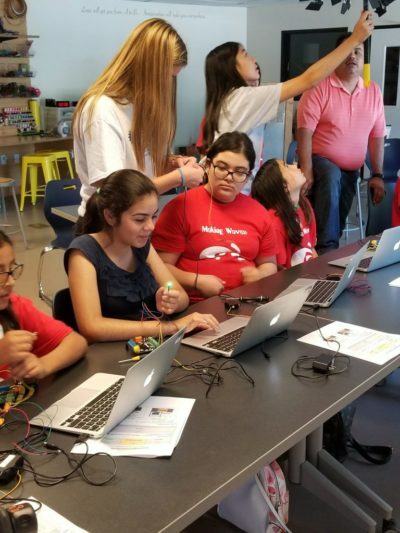 Why is it important for you to empower the next generation of black and brown girls to get into STEM fields in the future? I think of STEM today much like we thought of learning to use a typewriter back in the day. STEM is a means to an end. It is a set of tools that allows girls and others to create something special that they can sell at market rates. It is so important for our black and brown girls to understand what is possible in their lives. We want them to recognize that they have the power to control their destiny and the best way to control your destiny is to control your economics. STEM and economics are synonymous in the workplace today. Historically, black and brown females have been the ones in marginalized jobs. They now have the power to break that cycle . For those who don’t fully understand, can you explain how poverty can render someone powerless from succeeding, and why it is important for communities and organizations to step in and help? The thing to remember about poverty is that it is a condition that can be changed. Most of us are not born impoverished. When we think about poverty rendering someone powerless, we have to think about the surroundings and the things people in poverty situations are exposed to. When you wake up everyday and you are worried about your basic needs for food, shelter and safety, that does not give you room to dream about tomorrow because you are trying to make it minute by minute. When girls and women are in vulnerable situations it can quickly turn to hopelessness. By the way, this can happen to women who were married to a wealthy husband and then divorced and found themselves one paycheck from homelessness. What would you say about the importance of mentorship and how it has the power to change people’s lives? Everyone today seems to be aware of the value of mentorship for various reasons. I was inspired to go back to school after marriage, baby and divorce as a teen because I met someone who saw something in me that I didn’t see in myself. I listened and figured out how to go back to school based on his encouragement. Mentors are caring individuals who want to help others succeed. They are valuable because they have walked the path you are trying to travel. When I give career advice to adults or teen girls, I suggest that they identify mentors for various stages of their life. Each of us are likely to have a few mentors along the way, not just one. 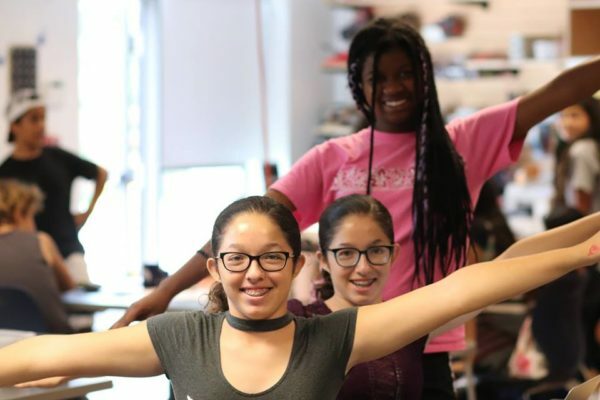 Tell us about some of the programs girls can participate in through EmpowHer? EmpowHer Institute is an award winning organization that is known for its trauma informed programs and mentors for middle school girls. Our programs are designed to build strength in confidence, Character, resiliency, and grit. Our EmpowHer Girls Academy is a weekly program during the school day for 7th and 8th grade girls. We also have an alumni program called, EmpowHer Leaders Academy for 9th-12th grade girls, monthly on Saturdays. This program provides mentors, college readiness and job shadowing opportunities. The work you are doing is centered around empowering young women, but we’d like to know what makes you a powerful woman? I think the thing that makes me a powerful woman is my authenticity and my comfort with making choices to be fully all that I am. Showing up as the little girl from Arkansas, the teen mom and the CEO, all at once. This didn’t happen overnight, it took spiritual and professional development to let go of any shame and recognize that all of my experiences made me stronger.